I have a subscription to Food and Wine magazine, but only because I cashed in some airline miles that were in danger of expiring. It’s not that I don’t like food magazines, but I have a major problem with getting rid of them and they just get lost in the stacks of travel magazines (again, airline miles) and catalogs that I can’t seem to part with. 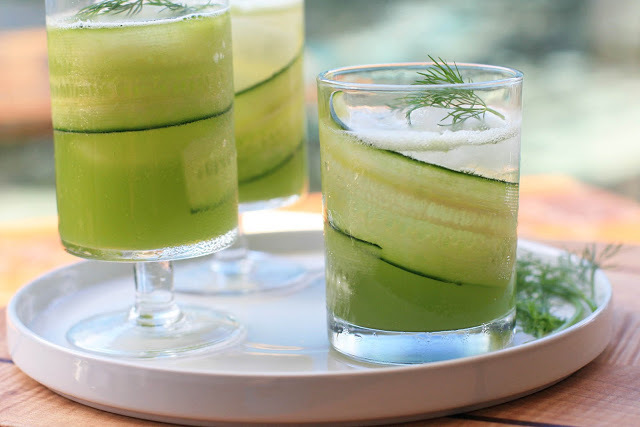 But I recently did a coffee table clean-up/magazine purge and spotted this mocktail recipe, which reminded me of a classed-up version of my Cucumber Agua Fresca with Mint. I knew I had to make it during my cleanse. 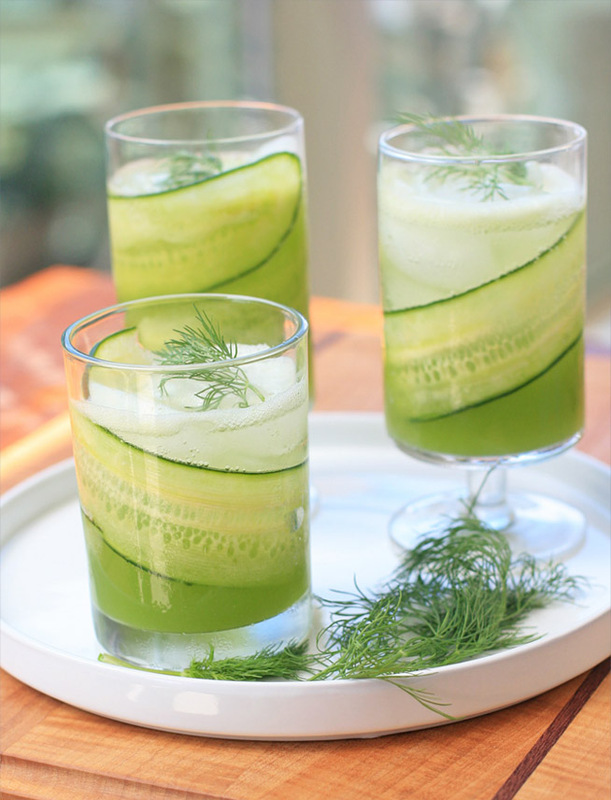 Cucumber juice combines with lemon and lime juice and sweetened with agave nectar. 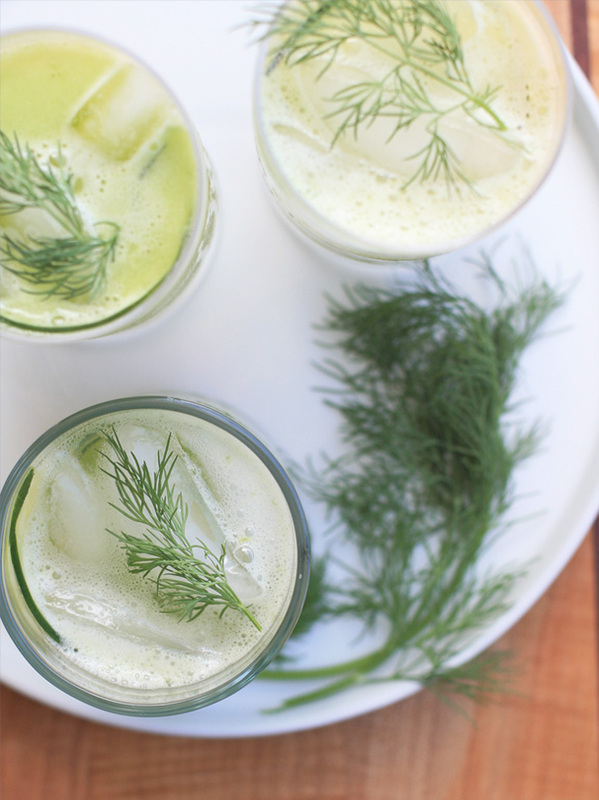 The mixture is then topped with club soda for a little fizz while some muddled dill adds just a hint of herby goodness. 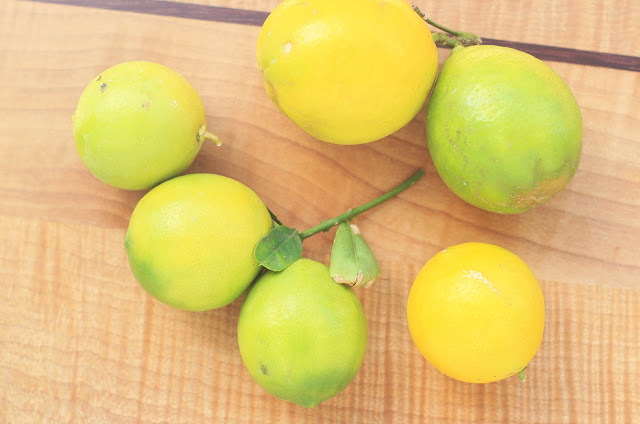 If you’re not on a cleanse, I imagine this would be great with a splash of your favorite versatile hard liquor. Press the cucumber slices against the inside of three or four glasses and add ice to help keep the cucumber slices in place. 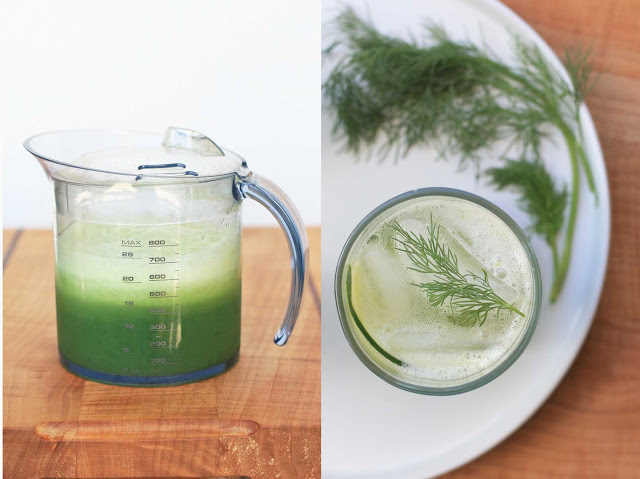 In a cocktail shaker or a large jar with a tight-fitting lid, muddle the chopped dill, agave syrup, lemon and lime juices and water until the agave syrup has dissolved. Add the cucumber juice and some ice. Cover and shake well. Strain into the prepared glasses and top with club soda. Garnish with the dill sprig. Note: If you don’t have a juicer, you can process the cucumber chunks in a blender and then strain the liquid.